Jake Gerlach joined Colliers International in 2014 specializing in project and facilities management in the Tampa Bay area. Jake’s growing experience includes project management of building renovations, creating trustworthy vendor relations, direct involvement with capital and tenant improvements, selling investment properties and adding value to assets through innovative processes and knowledge of market demand. Jake works together with John Gerlach, Managing Director of Investment Services. The Gerlach Team was responsible for over $120,000,000 in office dispositions within the Tampa Bay market, in 2016 respectfully. • In recent years, The Gerlach Team has resulted in over $130 million in office dispositions. • Represented Sterling Equities, as the seller of Park Tower, a 500,000± SF office tower in downtown Tampa. • Represented the seller of Airport Executive Center to purchaser IP Capital Partners for $28,850,000. 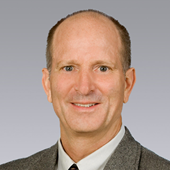 John Gerlach has been with Colliers International Tampa Bay since 1978 and serves on the Board of Directors as well as the Advisory Council for Colliers International Tampa Bay. John specializes in selling investment properties and land with a focus on office buildings, industrial/flex properties and land with a need for a specialized marketing plan. John is instrumental in organizing the office teams for Colliers International Tampa Bay and Colliers International Southeast region. 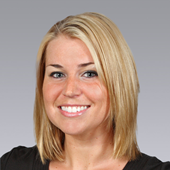 Mackenzie Gerlach specializes in investment services with a focus on office and land sales primarily in the Tampa Bay area. She provides strategic market positioning for her clients through detailed analysis of financial statements and budget. Mackenzie asset manages a 600,000± SF portfolio of properties in Tampa Bay which provides a direct understanding of the market demands and impacts on her clients. Mackenzie partners with John Gerlach, Vice President of Investment Services. The Gerlach Team was responsible for over $120,000,000 in office dispositions within the Tampa Bay market, in 2016 respectfully. John’s experience and knowledge paired with Mackenzie’s valuation and client commitment produce an investment team that continually stands as a market leader. 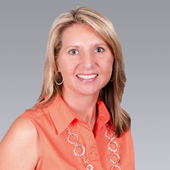 Cyndi Cushman joined Colliers International Tampa Bay in 2011 after moving to the area from Nashville, Tennessee. Having 17 years of experience in the commercial real estate industry, Cyndi’s area of expertise is in the sale and marketing of investment grade properties including industrial, office, retail, multifamily, and land for development. Cyndi is responsible for the coordination of marketing and research materials in addition to the administration and execution of transaction procedures. . She is also involved in the formation of e-marketing strategies and the design of property websites and online presentations.